Returning home after a daring rescue mission, all James Wolfe can think of is sleep. So he's furious to find a beautiful stranger curled up in his king-size bed! 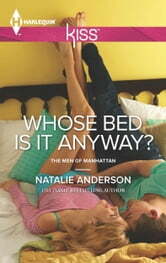 Normally no woman ever gets between his sheets without prior invitation-who does she think she is? Books related to Whose Bed Is It Anyway?